Sensitivity can occur during or after your whitening treatment. Soothe, a sustained release gel has been developed to relieve tooth sensitivity. 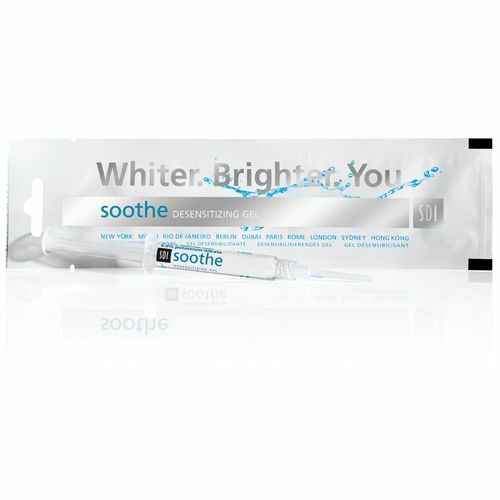 Unlike other desensitisers, Soothe will not interfere with the whitening process. It can be applied before or after your whitening treatment. Rub onto the affected area for 2 minutes. Do not eat or drink for at least 10 minutes.